1. Open bidding will begin at 6:00 pm and end at intermission on April 8, 2017. 2. Bidders must be at least 18 years old. Any bid written by someone under the age of 18 will be scratched out. 3. Each Silent Auction item is assigned a number and a bid sheet is printed. Each bid sheet will show the description of the item, who donated the item, value and opening with the minimum of increment a bid may be raised. Bidding is done by adding your name and bid amount. 4. At intermission, silent auction winners will be announced. 5. All sales are final. There are no exchanges or refunds unless otherwise noted. 6. All items are “as is”. 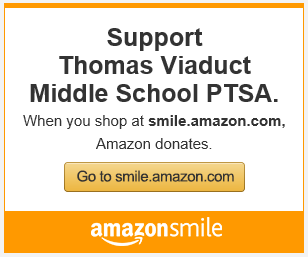 Thomas Viaduct Middle School PTSA has attempted to describe items correctly based on the information provided by donors. Bidders will be expected to read fine print included with bid sheets for any restrictions, exclusions, etc. 7. Each person bidding assumes all responsibilities related to the auction and items obtained at the auction and agrees to hold Thomas Viaduct Middle School PTSA harmless from any liability. 8. The value listed is an estimate of fair market value. Items have not been appraised unless noted. The amount you pay above this fair market value estimate is normally tax deductible as a charitable contribution. Please consult your tax advisor to clarify amount of deduction. 9. Payment: All items must be paid for on the night of the silent auction. Items not paid for will be offered to the next highest bidder the Monday following the event. Items may be paid for with cash or credit cards.